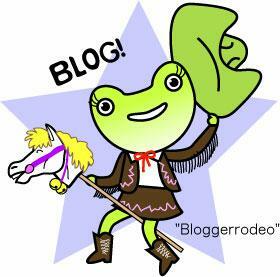 Bloggerrodeo! : DOWN WITH FRONT-LOADERS!! I am referring, of course, to washing machines. I have had my beautiful Kenmore Energy Star front-loading washing machine for what, I don't know, about 6 years now. I've (stupidly) had it serviced twice, to the tune of at least $300.00. I actually got a discount from my repairman because he's a nice guy and a client of mine. Now, apparently, the bearings are going out. When the machine hits the 'spin' cycle, it sounds something like what all the artillery fire must have sounded like during the storming of the beaches at Normandy. It feels like the machine is trying to jolt my house off of its foundation. Am I just being dramatic? Not really. I think my husband likes to wash the clothes at midnight just to drive the point home that we indeed need a new washing machine. But with Christmas coming up and business picking up, I just don't have the time to deal with this right now. I mean, aren't appliances supposed to last longer than 6 years??? I asked my aerospace engineer-turned-appliance repairman this question. His answer? "Most front-loaders are no good. 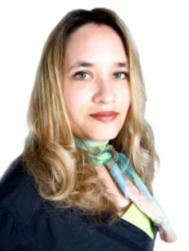 They encounter many maintenance problems that front loading machines don't have that require a professional to repair." He went on to suggest that the next time I buy a washing machine, that I simply buy a normal, run of the mill top loading machine. Maybe I'll even break down and buy an extended warranty this time. Which is just what I'm going to do. It would be nice if my next machine would last until my son hits college in 12 years. By then, hopefully we won't be doing so much laundry. Is that too much to ask? "It would be nice if my next machine would last until my son hits collect in 12 years. By then, hopefully we won't be doing so much laundry. Is that too much to ask?" Sorry Lisa, that's what I thought. What they do (17 year old's) is fill the washing machine as full as they can with clothes (because they try to do 2 weeks worth of laundry in one load!) and then, because it can't agitate, due to all the clothes stuffed in there, the motor starts to burn out! I purchased a new washer and dryer last Spring. They tried their best to sell me those space ship looking front loading things. NO way. I remember them from the 70s. They didn't even get clothes clean. Kathy, that's funny. I didn't even think of that!! I'll have to send my boy out of state. Lenn, you did a smart thing. I was trying to cut down on the water bill by buying this fancy machine that uses less water, but guess what? The thing dribbles water like crazy, has been for I don't know how long. Every time we do a load of laundry we've had to stuff a towel under the machine to soak up the "80% less water". Never again. I like my front loader too. I reconfigured my laundry room a year ago and got the stackable. Amazing how much 4 sq ft can save you in a cramped space. My laundry room now feel spacious. I am not sure about the durability though. Time will tell. I have heard stories but I think the issues were with the early (newer) models of today. Ray - thanks for leaving a comment! Just so you know, I wrote this in the heat of the moment, as the rattling from the machine was making my head throb. Courtney - you bring up a great point. Epinions is a good place to go for product reviews. I'm sure that some people keep their washers with no trouble at all. I love the convenience and space saving qualities of a front loader. Even though mine's not stackable, I don't have a table for folding clothes so my clothes get folded (and left) on top of the machine. And they are so pretty. But I hate my washing machine's guts right now. I've always heard about the benefits of front-loaders, but not the maintenance issues. Thanks for bringing this to our attention. Hopefully I won't be in the market for a new machine too soon; my top-loader is still running strong after 9+ years. I love my front loader and have for over 7 years. It certainly uses less detergent and I donot use the stuff they recommend. Just alot less for the normal detergent. I think they get my clothes cleaner and they are "well rung out" so drying time is cut down. I would buy another one again when this one goes. We do 12-15 loads a week. It is the dryer cost that is hurting me. It is 220 and too far to run gas. Lisa- invest in a Maytag. My washer is 10 years old and hasn't missed a beat. My Maytag Dryer is 8 years old. But 6 years, that isn't long enough. Lisa--Being on well and septic we were told that front loaders were the way to go...Not so certain anymore as my washer is over 7 years old and we have never had a problem. Guess if you elect to buy a front loader buy the extended service warranty too! This is good to know. Maybe it's the brand that you purchased. I heard Maytag is a good brand. Lisa, the useful life of an appliance is SUPPOSED to be around the 12 year mark. I know exactly what you're talking about. We stupidly remodeled our laundry room and got rid of the old whirlpool top loader and dryer for the stackable Fridgidaire frontloaders. Right away we had trouble which continued, finally Sears replaced both with Kenmore top loaders which worked better but also did not last very long. Meanwhile, the family members we gave our original whirlpool set to had absolutely ZERO problems with it for years. I've also heard numerous complaints about the Kenmore line at Sears, unfortunately they don't make them like they used to. Finally, I gave up and purchased the Kirkland basic model top loader washer and dryer from Costco and have not had any trouble with them so far. Yeah!!!!!! Good Luck. Post © 2019 Lisa Bosques. Design © 2019 ActiveRain, Inc. All rights reserved, Inc.